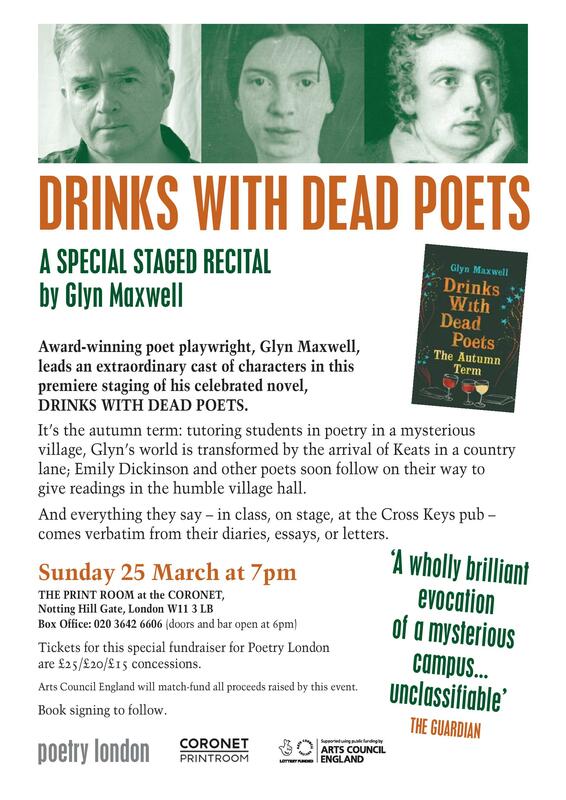 GLYN MAXWELL, poet, playwright, librettist and lecturer, is himself the central character of his celebrated novel, DRINKS WITH DEAD POETS. He will lead a fine cast of characters in this staged recital/reading adapted especially for POETRY LONDON. Doors and the bar open at 6pm. A fundraiser in support of the poetry magazine Poetry London which promotes the work of unpublished, as well as established, living poets.